2019 is on track for bringing us great music with the release of new music by Frank Iero and the Future Violents, the third iteration of Frank Iero’s solo career since the disbandment of My Chemical Romance in 2013. 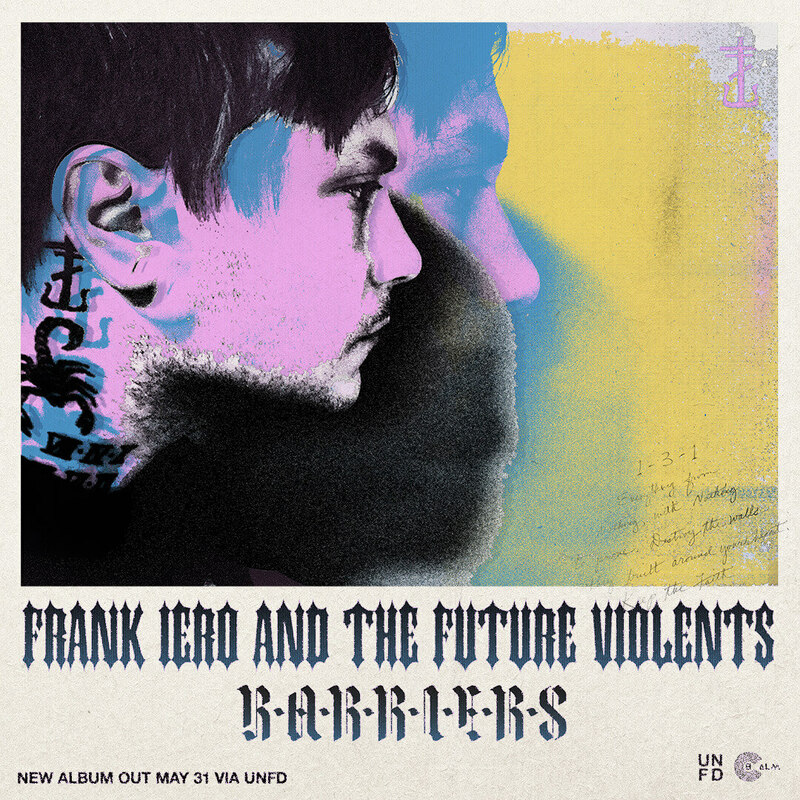 Frank Iero and the Future Violents – comprised of Evan Nestor, Tucker Rule, Kayleigh Goldsworthy and Matt Armstrong – have released their first single, ‘Young and Doomed’. Frank has always maintained that his music will grow and evolve, hence the ever-changing band name. Despite that, this isn’t a massive departure from his previous work. In fact, this single could easily find itself at home on his previous album ‘Parachutes’. In keeping with previous releases such as ‘I’m a Mess’, the latest track ruminates on emotional turmoil, complete with a tongue in cheek reference to his old band (“and I promise that I’m not okay… oh wait that’s the other guy”). With the full-length ‘Barriers’ due to release on May 31st on Australian label UNFD, this single is hopefully just the beginning, and I can’t wait to hear more. ‘Young and Doomed’ is now streaming online. Check out the music video for the single below, which is Franks‘ first music video in four years.